School chief Sherri Ybarra’s State Department of Education and the vendor Imagination Station have agreed to extend their contract and roll out a new reading test in 2018-19. 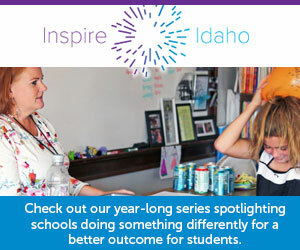 Istation and the state originally signed a contract in December 2016 to develop a pilot version of the Idaho Reading Indicator test in 2017-18. This week, both sides confirmed they have agreed to extend the contract into a second year, enabling Istation to develop a new reading test that will be given to all K-3 students in 2018-19. The future of Idaho’s reading test proved to be source of controversy during the dying days of the 2018 legislative session. Lawmakers killed the first version of Ybarra’s office budget over reading test concerns, as they debated whether to move forward with a new statewide test or grant local schools the flexibility to chose their own tests. Eventually, lawmakers approved a new version of Ybarra’s budget with funding to expand the pilot test statewide next year. SDE spokeswoman Kris Rodine said the first-year cost of the pilot test was $64,350. Rodine estimated the 2018-19 rollout cost at $90,000, although she said the contract is still being finalized. Istation will provide the test to all K-3 public school students. Services include a screener, diagnostic, monitoring progress, automatic scoring and school, district and state reporting. State officials and Istation executives say replacing the IRI is long overdue. The new test, they say, will be more modern and provide more usable data to educators and students. “This assessment will provide a holistic view of a students’ reading ability, and the in-depth reports can immediately be used to inform classroom teachers on their instructional next steps,” Karlynn Laraway, the SDE’s director of assessment and accountability, said in a written statement this week. Istation calls its formative reading test the ISIP. While adjusting to each student’s reading ability, the interactive test keeps developing readers engaged and provides educators with the data they need to help students grow, the Dallas-based company said. Istation officials said an entire class of students can be tested in 30 to 40 minutes in a computer lab. The company says the test will provide instant scoring results, as well as more than 2,500 lessons to support teachers. Although the next phase of the contract is not finalized, Rodine said state contracts generally do not prohibit a vendor, such as Istation, from marketing other materials to school districts.